It’s best known as the owner of online messaging platform WeChat, and then for its stakes in dozens of other tech firms inside and outside of China. More than anything else, though, Tencent Holdings (OTCMKTS:TCEHY) is a video game publisher. Most prospective and even current owners of Tencent stock just don’t realize it. It matters. Early last year, Chinese regulators stopped approving new games altogether. Although they finally started to issue licenses again in December, curiously, none of those newly-approved titles came from Tencent. It did finally happen in late January, with two Tencent titles getting the green light. Many more are in the queue though, and regardless, the damage has already been done. In the second quarter of last year, Tencent reported its first year-over-year earnings dip in thirteen years. Things didn’t get much better in the subsequent quarter. Indeed, in November the company announced it was cutting its marketing budget for a handful of games until there was some clarity as to win the normal pace of approvals would be restored. That still hasn’t happened, although there’s a light at the end of the tunnel. For the record, while Tencent drives more revenue from video games, they still don’t account for a technical majority of its sales. During its third quarter of last year, 32% of its top line was driven by online games. The next-biggest contributor was its social networking platforms, mostly WeChat, accounting for 22.5% of its business. The rest is made up of online advertising revenue. Still, games are its biggest business. In fact, the odds are good Tencent’s online gaming arm sports better-than-average profit margins. Those margins have been pressured of late too, as the fast-moving and hyper-competitive mobile gaming market all but requires a flow of new titles. Case in point? Fortnite, which was developed by Epic Games, which happens to be 40% owned by Tencent. The online battle royale hit caught rivals like Electronic Arts (NASDAQ:EA) and Activision Blizzard (NASDAQ:ATVI) off-guard. Both have since adapted, but those responses didn’t sway gamers or analysts at first, but eventually they did. In July of last year, the game’s revenue growth slowed to a crawl, even before other game developers were able to begin marketing their rival games. It points to the limited life span of all video games. The game developer hasn’t been able to offset that headwind though, thanks to a seemingly-targeted effort to chip away at its dominance, perhaps for its partnerships with U.S. companies against a backdrop of strained trade ties. Epic Games is based in North Carolina, while another partner called Glu Mobile (NASDAQ:GLUU) is based in California. Without explicitly saying so, China’s regulators are favoring home-grown developers and punishing publishers with American ties. Or, perhaps China’s video gaming regulators are concerned with nothing more than the violence and game-addiction they say they are. Tencent’s game “Honor of Kings” is not only China’s favorite and best-grossing title, it’s also a violent fighting game. Whatever the reason, it’s been slow, tough going for the company on this key front. Although it will never be clear if it’s political, practical, or just coincidental, whatever the reason for the regulatory headwind it’s working against Tencent stock. Still, working against Tencent stock. Although the company got a couple of new titles approved in January, the country’s regulators suspended new application acceptance altogether, hoping to clear out a backlog of at least 5,000 titles that had been submitted since China’s government stopped approving games in March of last year. There’s no word as to when it will start accepting requests again, and only one new Tencent game called Journey to Fairyland 2 has gotten the green light since January’s two approvals. In the meantime, Tencent only can wait. Investors can’t wait though, not knowing when or even if the company will be able publish a new title. As is the case with all video games, Tencent runs the risk of its existing lineup of games losing players, chewing away at growth and profits. The one upside? It will be anything but a secret if China’s overseers pick up the pace of new game approvals. The company will also be sure to share it when its games receive permission to be marketed. Tencent knows the key people watching TCEHY stock are making buy/sell decisions largely based on how accommodative regulators seem like they’re going to be going forward. 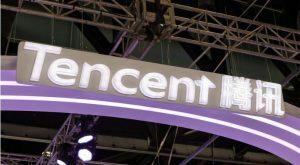 Article printed from InvestorPlace Media, https://investorplace.com/2019/03/tencent-stock-still-is-at-the-mercy-of-chinas-video-game-regulators/.